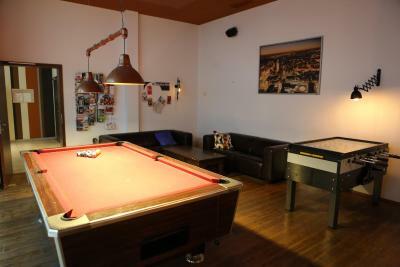 Lock in a great price for Five Elements Hostel Leipzig – rated 8.9 by recent guests! 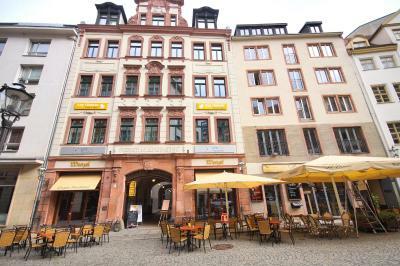 The best of the Hostel is the location- just 2 minutes to the market. There are a lot of nice restaurants in this area. 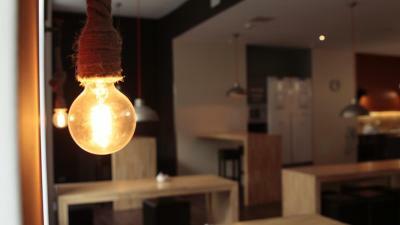 The hostel is modern, clean and really cozy. There is a kicker and billiard. The room has a big table and a bathroom. Very nice! Bocked a Single Room with bathroom, got a 4 bedroom with large bathroom. Had a double bed in there with TV. Nice & very clean. Super clean and comfortable. Helpful staff. Amazing location. 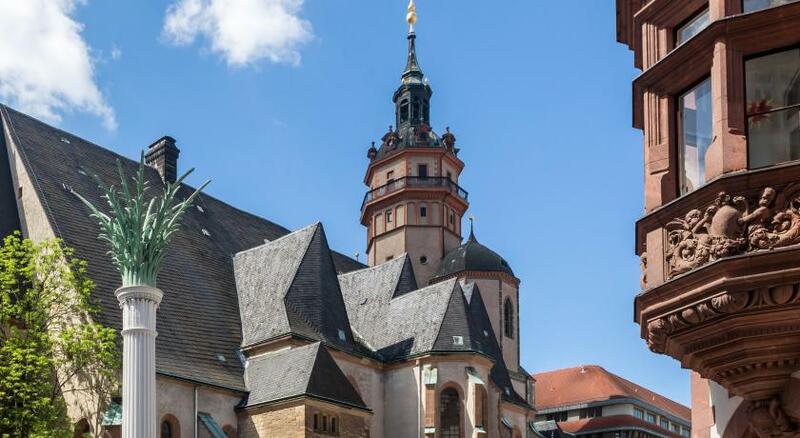 Right in the heart of Leipzig! Amazing location. Onsite and affordable washer AND dryer! Nice place. Old centre. Very clean hostel. Plus 1 free dinner) Deposit 5 euro. 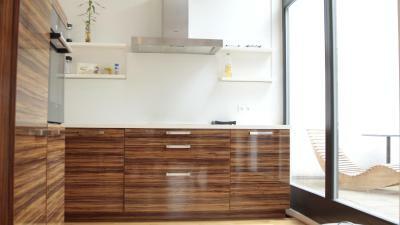 Central location, big and good apartment for two with a private bathroom, breakfast has enough choices. Everything was so good, one of the best hostels I’ve ever stayed. The bed room it's ok, the staff, good, the area of kitchen, is good.the breakfast is ok. 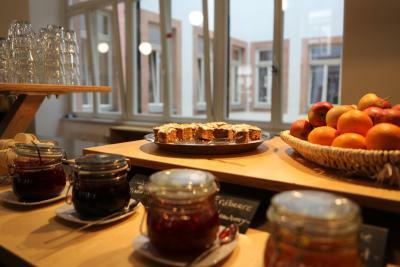 This hotel and hostel lies in the historic heart of Leipzig, within a 4-minute walk of the market square and St. Thomas Church, and a 10-minute walk from Leipzig Main Station. 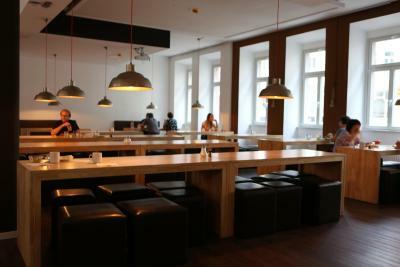 Five Elements Hostel Leipzig offers a 24-hour reception and free Wi-Fi. 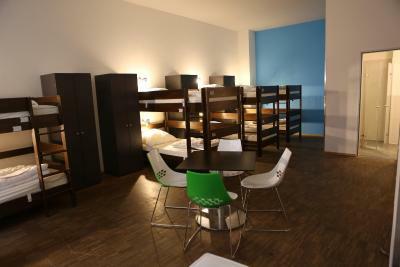 The colorful rooms and dormitories at the Five Elements Hostel Leipzig all include an private bathroom. There is a safety locker for each person. 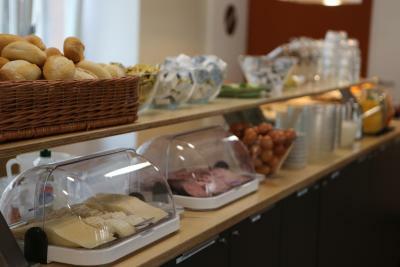 A healthy buffet breakfast is served each morning. 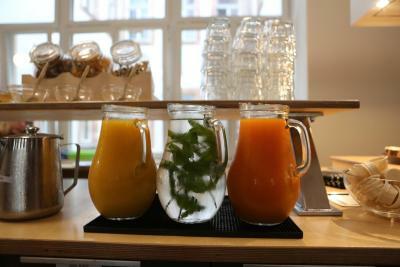 Guests are welcome to relax in the comfortable lounge with a common kitchen and summer terrace. 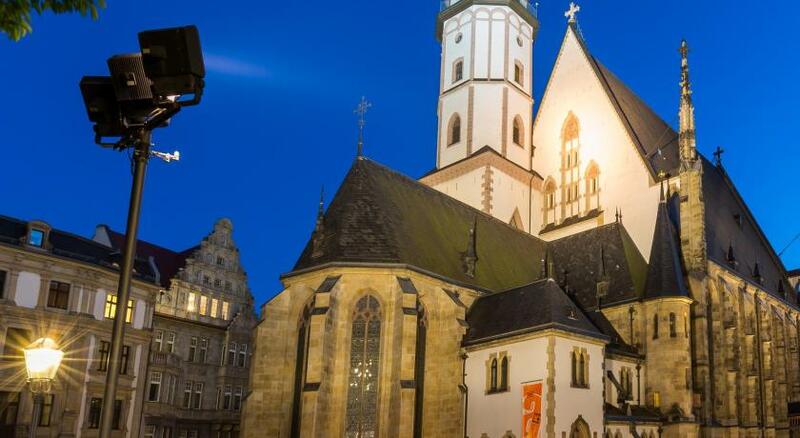 Thomaskirche tram stop is 800 feet from the Five Elements Hostel Leipzig. 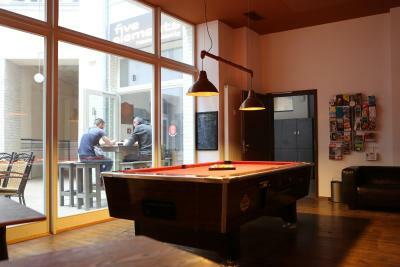 When would you like to stay at Five Elements Hostel Leipzig? Brightly furnished, spacious room with free Wi-Fi and cable TV. 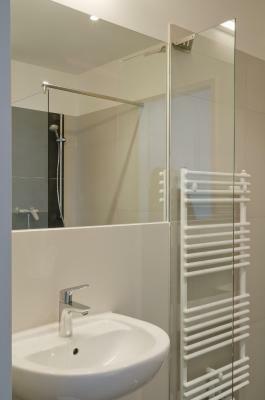 Includes bed linen, towels and an private bathroom with a hairdryer. Bed in a modern-style room with free Wi-Fi. Includes bed linen and an private bathroom. There is a safety locker, bed light and socket for each person. Towels and a hairdryer are available for an extra fee. Bed in a modern-style room with free WiFi. Includes bed linen, and an private bathroom. There is a safety locker, bed light and socket for each person. Please note that only 8 beds can be booked per booking. Bed in a modern-style room with free Wi-Fi. Includes bed linen, and an private bathroom. There is a safety locker, bed light and socket for each person. 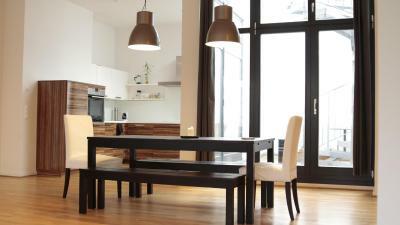 Brightly furnished, spacious room with free Wi-Fi and cable TV. Includes bed linen, towels, and an private bathroom with a hairdryer. 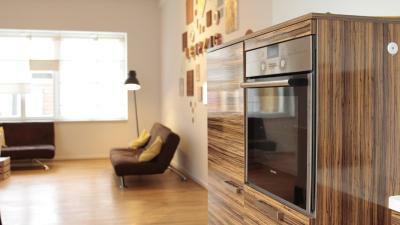 Kitchenette facilities are available on request for an extra fee. This double room has a balcony and a private bathroom. The living room and the kitchen are shared. 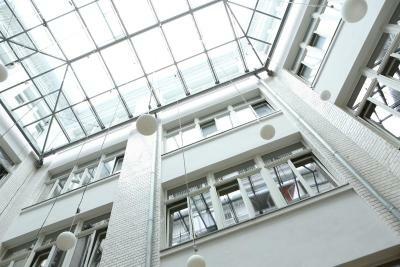 House Rules Five Elements Hostel Leipzig takes special requests – add in the next step! 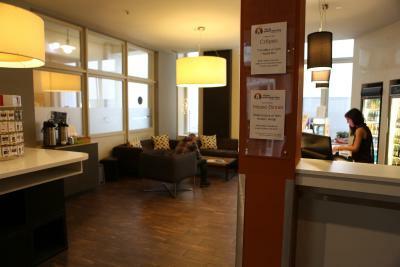 Five Elements Hostel Leipzig accepts these cards and reserves the right to temporarily hold an amount prior to arrival. A nice to have would be a vegan opportunity for breakfast. Breakfast was great, location and properties were wonderful. Nothing to complain. Very nice and talkative staff. Very friendly staff. 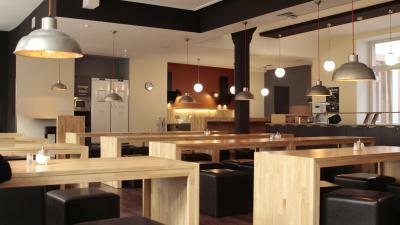 The hostel is very clean and comfortable near leipzig city center. That there is no possibility for early check in, especially when requested and that there was no shower gel in the bath. Location and the size of the room. Friendliness of the staff. It is very nice, warm and clean! I enyoed! Nothing. The place entirely lived up to my expectations. Five Elements may be called 'hostel', but it is perfect for the solo traveller (business or pleasure) as there are also private rooms. 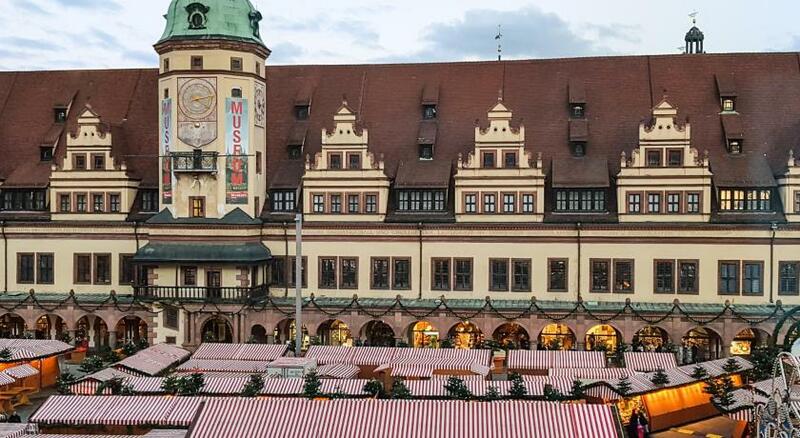 It's great value, and it's right in the centre of Leipzig. 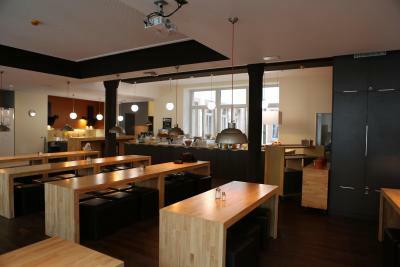 Furthermore, there's a bar which stays open as long as needed, and during the week various free functions happen for guests - for example I enjoyed complimentary crepes one night during this visit, but in the past I have also had pasta dishes. Centrally located and well sited for restaurants, bars, shops and places of interest that you can walk to. Staff were very helpful at all times. Breakfast for €5 was excellent value. 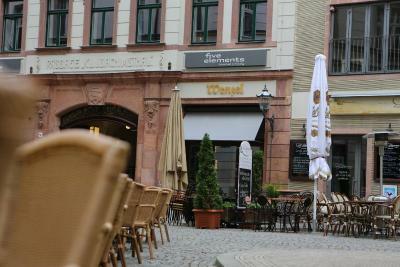 I would stay here again if I return to Leipzig! Everything. Location is good and staffs are nice. I certainly come back to this hostel again. I was pleasantly surprised by the hotel. The double room is big, clean, everything you need for a short visit. Perfect value for money choice! Perfect location!